Are your kids bored? Good. | Autumn Answers | Kids VT - small people, big ideas! Are your kids bored? Good. Summer is wonderful in many ways. For one, it's not zero degrees and blackout dark for 22 hours a day. Berries grow, creemee stands open, flowers bloom. But, let's get real, summer can also be high-pressure and high-stress for parents. For those nine-ish weeks of summer vacation, we have to figure out how to juggle the very same workload we have the rest of the year, except the kids aren't occupied at school all day. Instead, they're home, staring wide-eyed into our souls, asking, "When are you gonna stop working so we can get started making those warm, fuzzy summertime memories I've heard so much about?" Oh, the guilt. Creating a summer schedule with just the right mix of experiences for just the right amount of time and money is a difficult proposition. No matter how well we manage it, there will always be pockets of time when our children are — gasp! — bored. 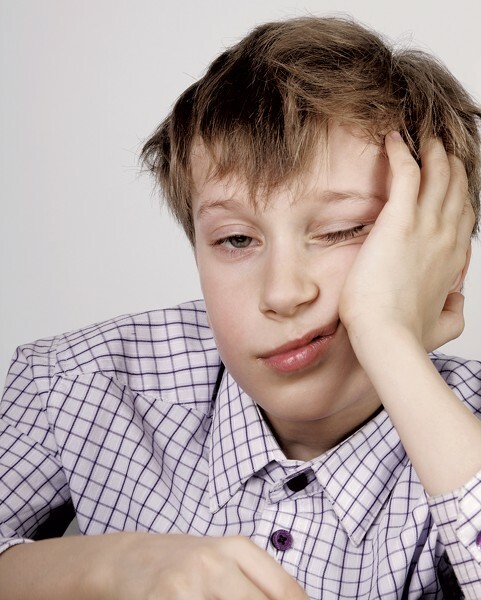 Although kids tend to relay their boredom with an urgency akin to having just sliced a finger open — utterly panicked and fully expecting the nearest adult to immediately handle the emergency — feeling bored is not actually a health risk. Au contraire, my friends, experts say it's good for kids to be bored sometimes! How great is that? According to psychologist and parenting expert, Dr. Vanessa Lapointe, "Children need to sit in their own boredom for the world to become quiet enough that they can hear themselves. It is only when we are surrounded by nothing that something comes alive on the inside." Dr. Teresa Belton, visiting fellow at the School of Education and Lifelong Learning at the University of East Anglia in England, researches the relationship between boredom, creativity and media. In UC Berkeley's Greater Good online magazine, Belton says that while kids certainly benefit from organized activities, "children also need time to themselves — to switch off from the bombardment of the outside world, to daydream, pursue their own thoughts and occupations, and discover personal interests and gifts." When your children tell you they're bored, Belton suggests offering them simple materials — a box or a magnifying glass, for example — to spark their imaginations. You can also offer creative challenges like story writing, movie making or obstacle-course creating. The goal is for kids to see boredom not as a problem to be instantly solved by an adult, but as an opportunity to explore their own ideas, practice self-reliance, and accept that constant stimulation and entertainment is not a birthright.